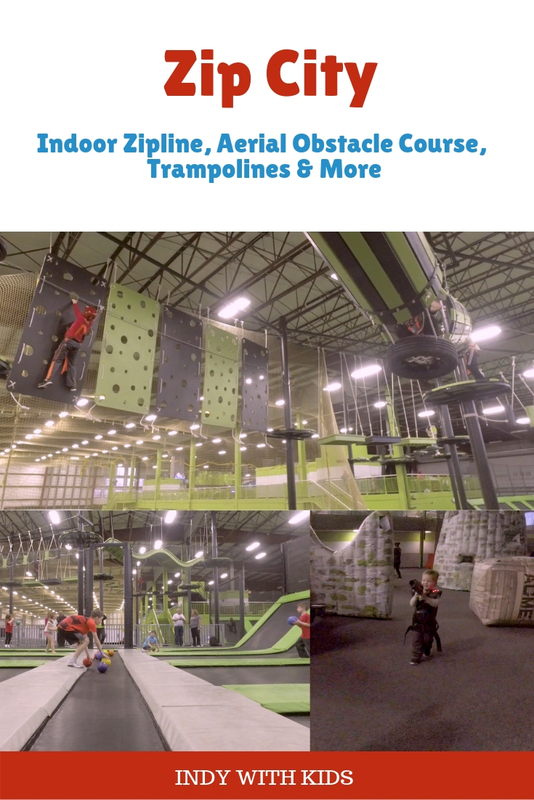 Zip City in Indianapolis is one of those places that you have to check out if you have kids — there’s something for just about everyone. Huge wall to wall trampolines, a zip line course and climbing rock wall park are just the start. Guests will also get to experience laser tag, an indoor sports field with knockerballs, an aerial ropes obstacle course and a toddler play area. Session times vary per activity and start at the top of the hour and you can find Zip City coupons and special offers online or on the Zip City Facebook page frequently. This huge facility is fantastic for Indianapolis children’s birthday parties and social gatherings for most ages. Zip City typically even has summer camp options. My four year old attended a birthday party here with her classmates, my daredevil three year old preschooler took to the zip line like a champ, my 18 month old toddler loved the toddler play area, my eight year old really got the most out of the experience and ALL of them are begging to go back! Food and beverages are available for purchase, including alcoholic beverages. A large viewing area rises up out of the center of the building and has comfortable couches and seating. When we’re looking for a fun day out with our kids, Zip City is one of our go-to places; EVERYONE has a great time, the prices are competitive with similar venues and they’re always adding new attractions. 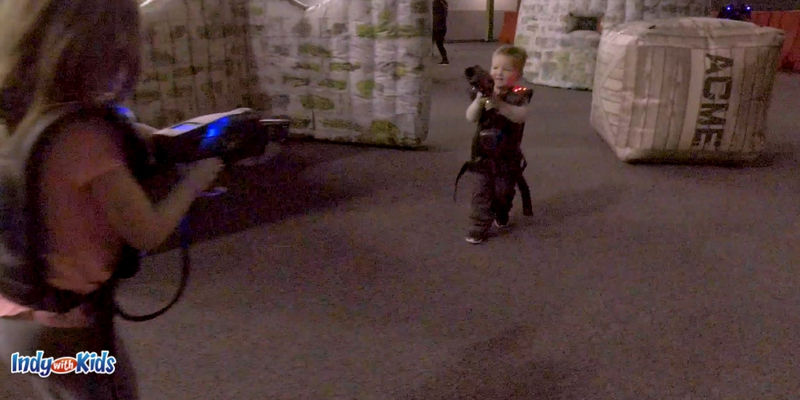 As a parent of young kiddos, I appreciate the staff supervision, the laser tag course that is out in the open and well lit and the little kid play area. Since all of my children have different interests and abilities, I love that we can find something that they all love under one roof. Find more of the best Indianapolis indoor playgrounds on Indy with Kids.